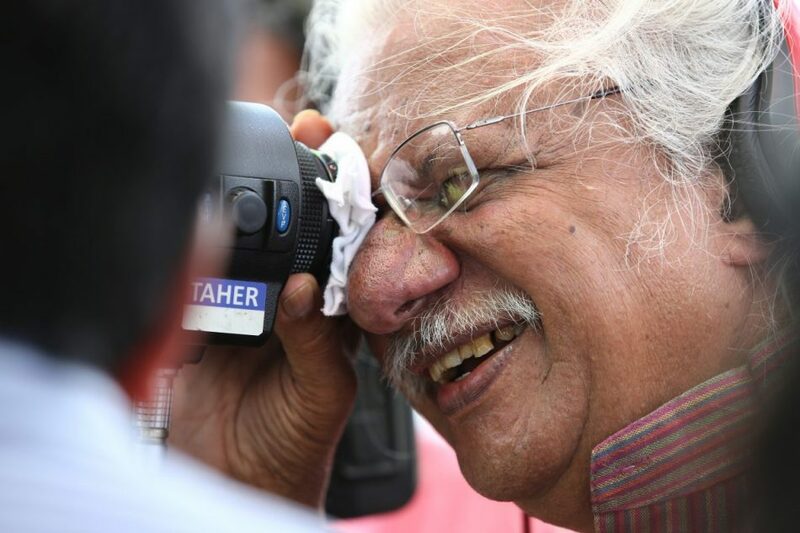 Adoor Gopalakrishnan is one of India's most acclaimed contemporary filmmakers. Coming from a Kerala family that supported performing arts, he himself started acting on the amateur stage at the early age of eight and wrote and directed several plays as a student. He went on to study cinema at the Film Institute specializing in Screenplay writing and Advanced Film Direction. His debut feature, Swayamvaram (1972) won National Awards for Best Film, Best Director, Best Cameraman and Best Actress. Since then he has made 12 feature films and several documentaries and shorts, all which have won multiple national and international awards and have been screened at important festivals around the world. All his films stay true to the culture and history of his native Kerala. Retrospectives of Adoor's work have been held in Paris, Pesaro, Helsinki, La Rochelle, Nantes, Ljubljana, Fribourg, Munich, Washington, New York etc. Pinneyum (Once Again) his latest, comes after a gap of eight years.